Recall that . Perhaps the shortest proof of applies (the sophisticated) Parseval’s identity of the Fourier series to . By contrast, the simple (but long) proof in this paper, which was recently popularized by the video below, uses basic ideas from Euclidean geometry. The following argument interpolates between these two, resulting in a proof that is both simple and short. There has been a lot of work recently on constructing line packings that achieve equality in either the Welch bound or the orthoplex bound. It has proven much harder to pack in regimes where these bounds are not tight. To help fill this void, about a month ago, I posted a new paper with Matt Fickus and John Jasper on the arXiv. We provide a few results to approach this case, which I outline below. 1. The minimal coherence of 6 unit vectors in is 1/3. The Welch bound is known to not be tight whenever lies strictly between and (see the next section for a proof sketch). As such, new techniques are required to prove optimality in this range. We leverage ideas from real algebraic geometry to show how to solve the case of vectors in for all sufficiently small . For example, our method provides a new proof of the optimality of 5 non-antipodal vertices of the icosahedron in , as well as the optimality of Sloane’s packing of 6 lines in . Recall that Cynthia (and coauthors) first proved part (a) of the conjecture, and then recently disproved part (b). During her talk, she also provided a refinement of part (b). Before stating the conjecture, recall that injectivity of the mapping is a property of the column space . 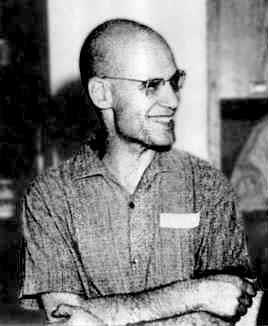 Readers of this blog are probably already aware that Alexander Grothendieck died on Thursday. He is widely regarded as one of the most influential mathematicians in the twentieth century. Since his is not my field of study, I felt that now was a good time to learn a little about why he is so well regarded — I took the day to read a couple of articles from 10 years ago that provide an overview of his life, research, personality, and philosophies. I highly recommend the read: here and here. Let’s say you have a picture, a piece of music, or a movie that you want to store on your computer. You can do this without taking up your entire hard drive, but why? Because there’s a way to look at each of these things so that they appear very simple: Imagine someone is making a movie of you reading this. You’re just sitting there. Maybe a fly is flying around the room, but not much is changing. That means each moment of the movie looks a lot like the one right before, and this makes it very easy to store the entire movie on a computer. The fact that pictures and such are so simple allows you to do other cool stuff. Let’s say you find your favorite movie in the back of a second-hand store, but when you watch it at home, different marks pop up every now and then. Since movies are so simple, you can use a computer to fill in what you can’t see, and make it good as new. The time between any two consecutive blog posts should be between 1 and 2 weeks. In fact, his advice has saved this blog from dying a couple of times, as the periodic deadlines have kept me motivated to write; also, the one-week lower bound has prevented me from writing too much and burning out. Afonso and Joel have taken Boris’s Law a step further by devising a two-player version of the upper bound: You must post within one week of your opponent’s most recent blog post. Overall, I highly recommend following Boris’s Law if you start a blog. Last week, my PhD was conferred; at the ceremony, I saw Aretha Franklin get an honorary PhD in music! Tomorrow morning, I’ll move to Dayton, Ohio to become an Assistant Professor of Mathematics at the Air Force Institute of Technology. As you can imagine, the past couple of weeks have been rather hectic, so I haven’t been able to write a technical blog post, but I still want to abide by the Law.